Hybrid species are not exactly a foreign concept in the animal kingdom, but for the first time, hybrid sharks have been found in waters off the coast of Australia. Scientists say this may be an indication sharks are adapting to climate change. Australian researchers have found 57 sharks that are a cross between the common blacktip shark and the Australian blacktip shark, two closely related but genetically distinct species. Researcher Jennifer Ovenden of the University of Queensland clarified the differences, noting that common black tips are larger and more abundant in sub-tropical and temperate waters along the southeastern Australian coastline, while the Australian blacktips are smaller, favoring tropical waters in the north. There’s a good environmental reason for the sharks to do this. 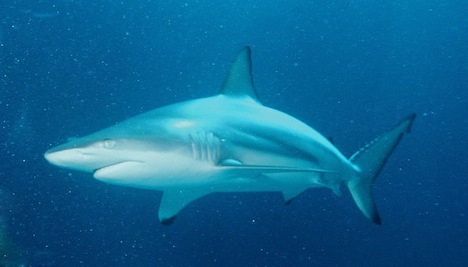 With a larger body, the smaller sharks of the north will have a stronger swimming ability, allowing them to swim further south if necessary due to environmental changes. Scientists used DNA testing and measurements to discover these findings, and various scientific establishments will continue studying to determine the changes and benefits of the new hybrid sharks. Is this kind of ‘wild hybridisation’ a good or a bad ting in terms of biodiversity? I know there have been efforts made to stamp out interbreeding between wid and _domesticated_ breeds in some cases – Domesticated dogs and Coyotes/Dingos, for example – but what’s the status of hybrids between two wild species? I don’t see any reason to see that it’s bad, if it’s happening in the wild. Isn’t just part of evolution, although possibly in response to human-caused climate change.